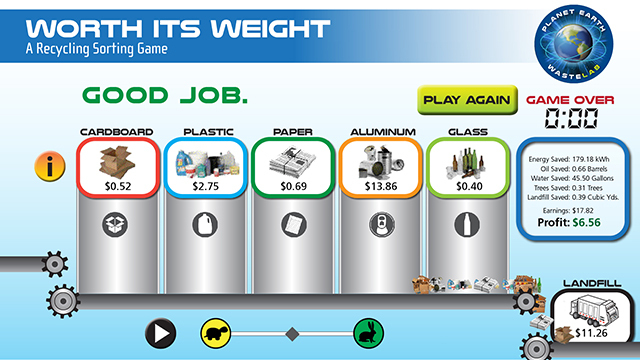 As part of the Planet Earth WasteLab, two interactive games were developed and built for the mobile exhibit and to be used independently of the exhibit. 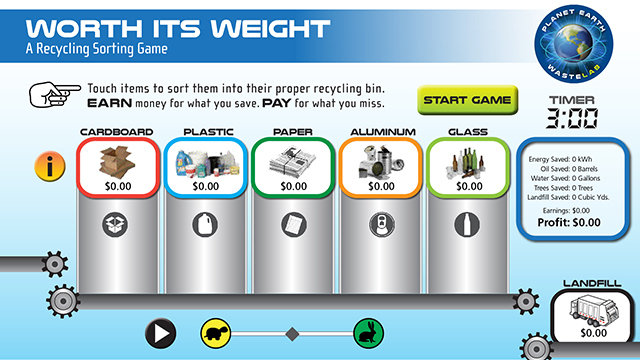 The first interactive game, WORTH ITS WEIGHT, challenged players to sort recyclables by category, while understanding the monetary value and energy savings of sorting and reusing recyclables. 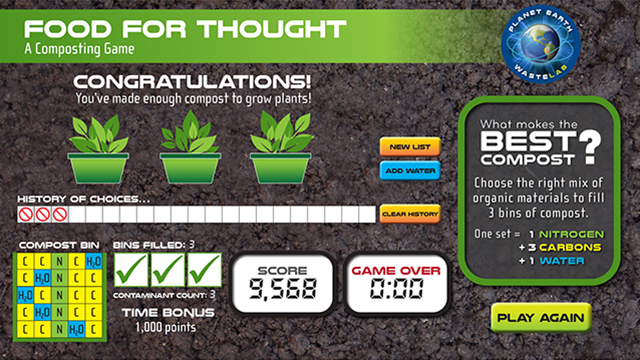 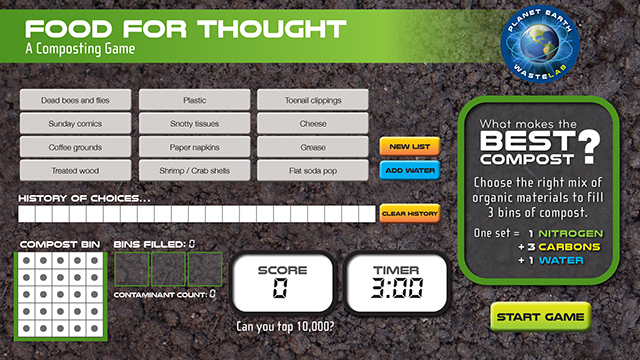 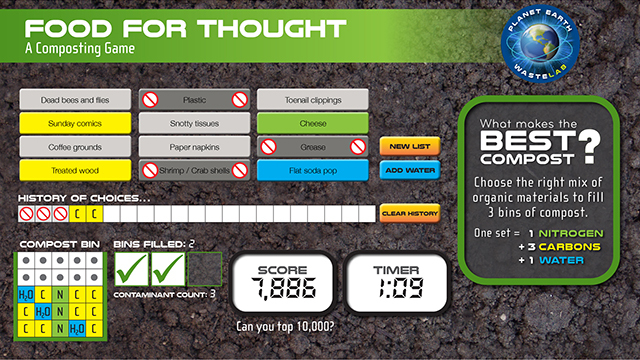 The second game, FOOD FOR THOUGHT, challenged players to create compost through the right balance of compostable ingredients: carbon, nitrogen and water.